FOR Kilmarnock-born Gary Cunningham, the recent purchase of Bar Luca in his hometown represented the realisation of a lifelong dream. 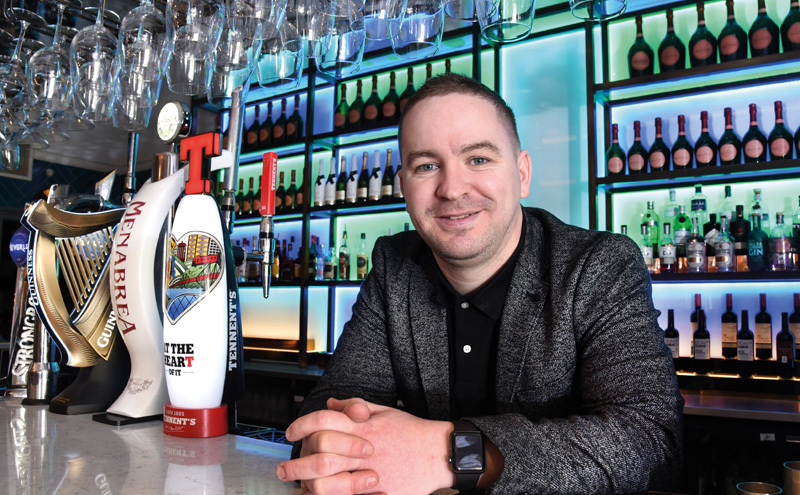 Having long harboured ambitions of owning and operating his own venue in Ayrshire, he was nothing short of elated when, after three years of working as general manager in the Kilmarnock venue, his then employer, Peter Di Ciacca – owner of Bar Luca and head of Riva Restaurants, accepted his proposal. “It’s been a long process,” Gary told SLTN. And yet it’s a move that almost never happened. 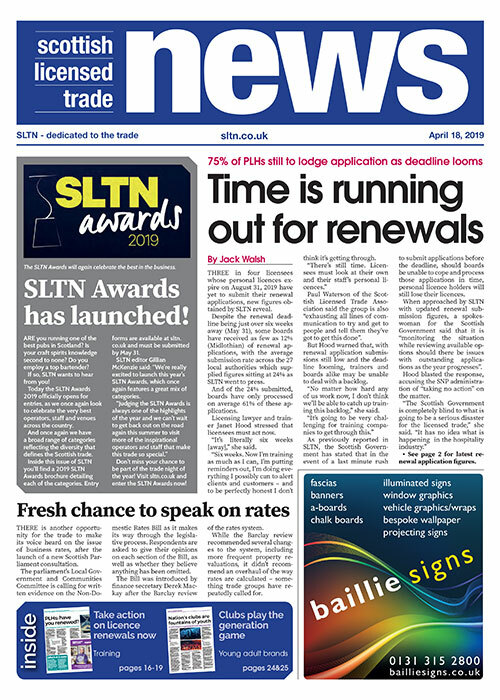 Back in 2016, having spent seven years building his career working as an operations manager for Ayrshire-based independent multiple operator SimpsInns – in The Gailes, The Old Loans and, latterly, The Waterside – Gary admitted it wasn’t an easy decision at the time when he made the move to Bar Luca. “It was touch and go,” he said. “About the week before I was meant to start, I pulled out and was staying with SimpsInns. But, looking to work a day less per week due to the birth of his daughter, Gary shook off the nerves and made the move to GM of Bar Luca. Fast forward to today and he has wasted no time putting his own stamp on the business. As well as lowering all of the bar’s drinks prices by around 50p, live entertainment has become a big focus, with events such as a saxophonist and DJ night proving popular – and generating £5000 more than a typical Friday night. “I think people appreciate we’re trying to do something different,” said Gary. Moving away from Riva’s solely Italian food offer, the restaurant offers more food that “Ayrshire people want to eat” and, where possible, is switching to local suppliers. On the drinks side, a move to Heineken means the bar will soon offer Amstel, Heineken, Birra Morretti, Strongbow, and an IPA on tap, while the spirits and cocktail lists have been streamlined too. Working with other local venues, there’s also determination to create “a bit of unity” within the town’s night-time trade, according to Gary, with talks of creating a loyalty scheme whereby if customers visit each participating venue, they can get free entry in to Bakers nightclub. “There’s quite a few guys trying to come together and work together for the greater good of the town,” said Gary. But Kilmarnock is not without its challenges. With off-street parking charges set to increase in the town from next week, East Ayrshire Council is now consulting on axing free Saturday parking altogether, which Gary said is a “terrible idea” that will damage local businesses. Yet despite this and other obstacles, Gary remains confident in the business and his plans moving forward.